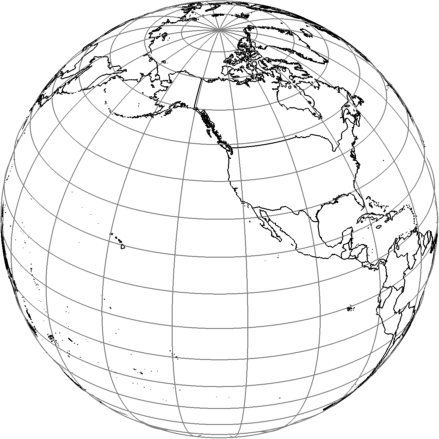 I have a function that displays the countries of the world on a global plot and I need to know how to plot lines of lat and lon in even increments of 10 degrees onto this global plot without using the geoshow command found in the mapping toolbox. You could even use plot3 to generate the wire mesh. 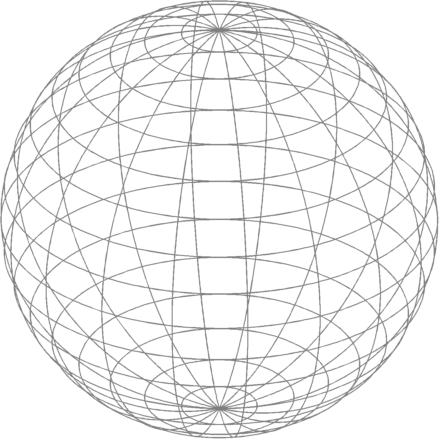 As to examples: spherical coordinates work similar to polar coordinates (x=r*sin(theta),y=r*cos(theta)), so you can expand that to 3D without too much trouble. Maybe it's worth looking in the File Exchange. Try lon lat plot. Is there any way how to easily apply elevation data to the grid? Then convert to cartesian coordinates and plot with surf. If you don't have the Mapping Toolbox you'll need to find the topographic data somewhere out on the internet. that's a very neat solution - thank you very much! Yikes, I can't figure out a great way to show it, but here's something. Basically NaN out whichever half the globe you don't want to see, then set the viewing angle. How could you plot a lat/lot point and a declination and inclination point? 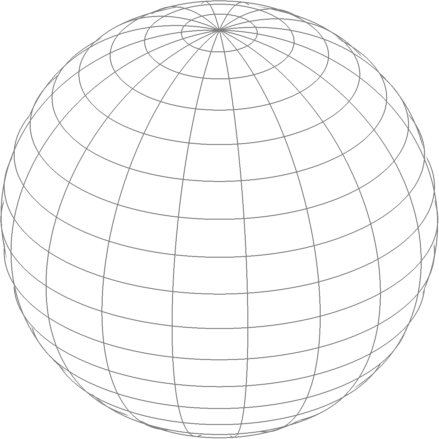 I turned my answer into a collection of functions called globeplot, globesurf, globegraticule, globeborders, etc. 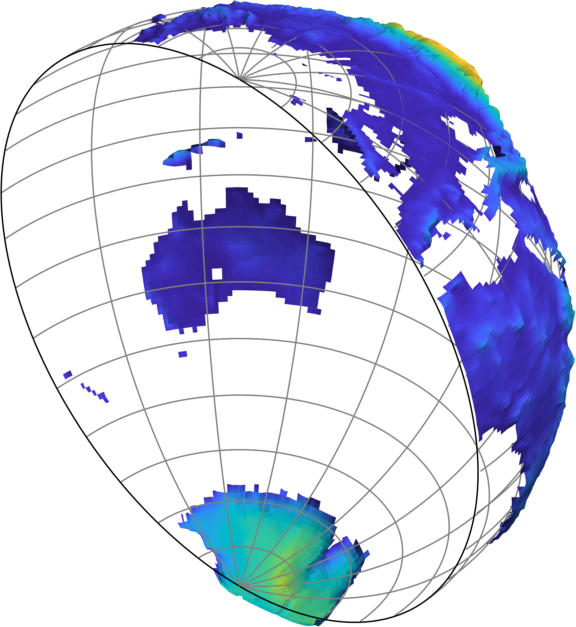 which you can find in the Climate Data Toolbox for Matlab. thank you so much for sharing the "half Earth" code example earlier (last September), and for also going to the trouble of providing this really nice and nifty set of functions as part of the CD toolbox! Thanks so much for saying that, Maggie!